Just think about it, as a millennial woman you are taught to be independent and put education/career first, then marriage and children. We are now living in a society that "Women Are Equal" and men are learning how to spell and what they want from rap lyrics and social media (I-N-D-E-P-E-N-D-E-N-T, do you know what that mean? She got her own house, her own car, 2 jobs work hard...you know the rest). When you get married you are expected to move as ONE, you are then told to be led by your husband, be his HELPmate, submit to your husband, take on your husband's name, you're put in a box, and expected responsibilities are placed on you as a wife. The transition from Miss to Mrs is SO REAL! Heck the transition from me being single to being in a SERIOUS relationship and living together was my introduction into my transition of becoming a Mrs prior to marriage. I honestly couldn't even imagine if I had to go through this transition after the wedding, because it really was a shock factor for me. There are so many things you learn about yourself in this transition process that cause you to question if you are deserving of this person you are choosing to spend your life with. It's not because you don't love them, it's really because you go through an identity crisis that no one has identified, until now (Thanks Dr. Lil). I can only speak for myself and my experience when I write these blogs, so please don't think I'm speaking for everyone and expect everyone to relate to the things that I experience . I have recently discovered Dr. Lil's book called "Miss to Mrs" and she breaks down EVERYTHING that I went through as I transitioned and even gave it a name: female autonomy. I saw sooo much of myself and what I mentioned above in this book. It's like she made complete sense of everything. These were the words I needed help figuring out for my feelings during my transition that I was unable to communicate to anyone because I didn't understand what they were and I just knew no one else would understand either. Dr Lil gets it and she hit it right on the nose! I'm so glad I found her book and you should too! 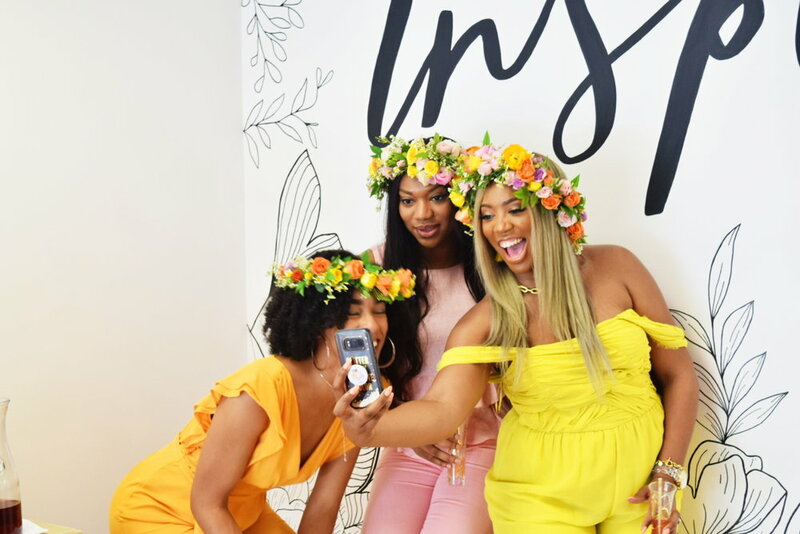 I recently featured Dr. Lil for Millennial Magic Mondays, and I just found her to be a very phenomenal woman after reading her book. I definitely recommend reading it, whether you're single, engaged, or married. Here is where you can find a book summary. I've learned that there's no such thing as the perfect person, let alone "The Perfect Wife". Every person is different, everyone's backstory is different, and everyone's relationship/situation is different. It's what makes you unique. You can learn and relate to people who share their story and advice, but you can not compare your situation to other people or you'll forever be miserable. Not just in marriage/relationships but in life. 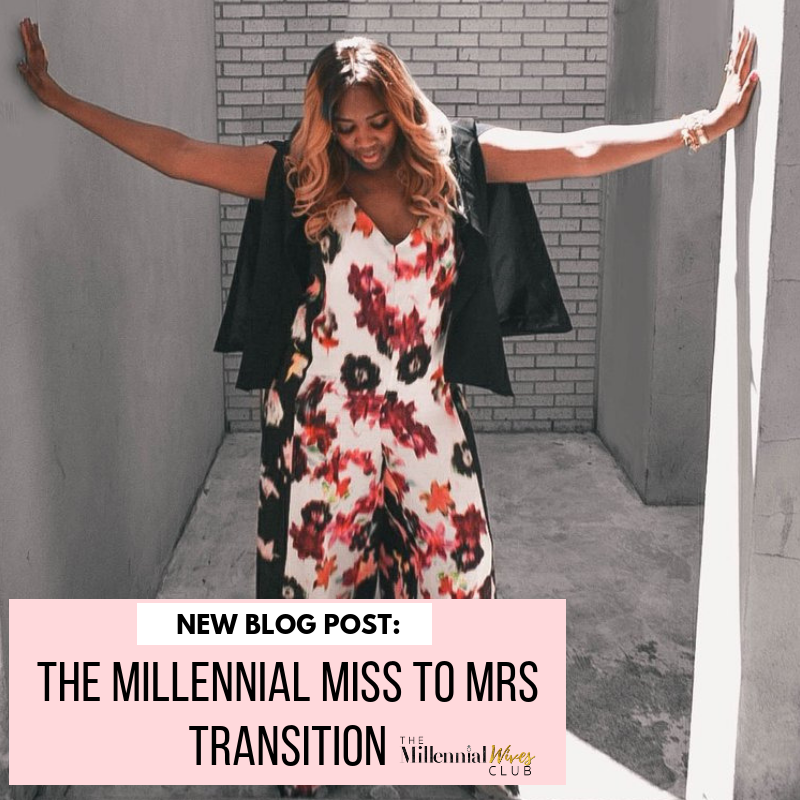 What's your Miss to Mrs. transition story? 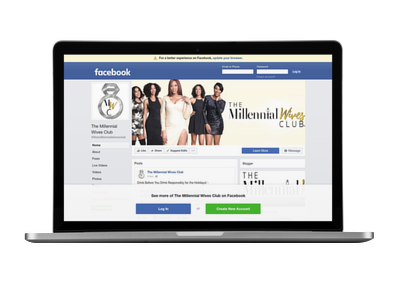 Please comment below or send me an e-mail at info@themillennialwivesclub.com for your story to be featured on the website. Don't forget to follow us on IG!